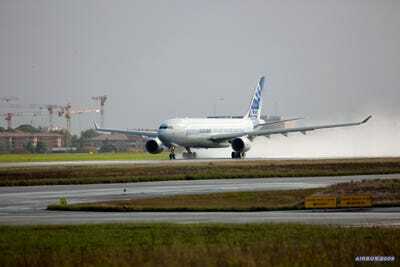 European planemaker Airbus is based in Toulouse, France, but produces planes in the United Kingdom, Spain, Germany, and China. To transport the wings and fuselages of half-built planes from one factory to another, it needed a plane bigger than any standard cargo jet. 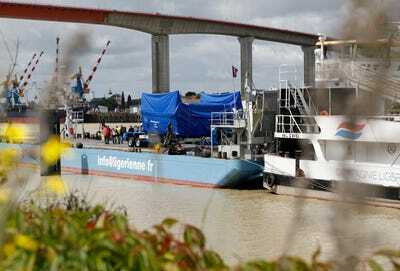 So it built the Beluga. 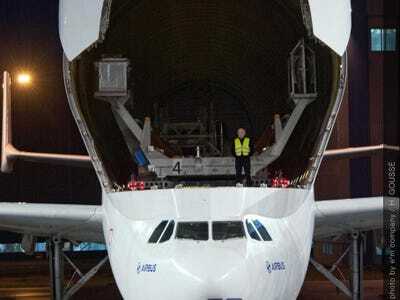 Developed in the 1990s and based on the A300 (the wings, engines, landing gear, and lower portion of the fuselage are the same), the Beluga has one of the biggest cargo holds in the world. It’s the best way to get the body of a jumbo jet, a fleet of helicopters, or even a priceless painting across the planet. It’s also one of the strangest looking planes in the skies today. 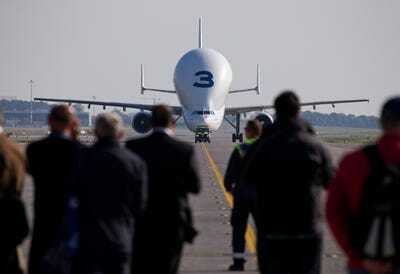 Recently, Airbus celebrated the 20th anniversary of the Beluga’s inaugural flight on September 13, 1994. 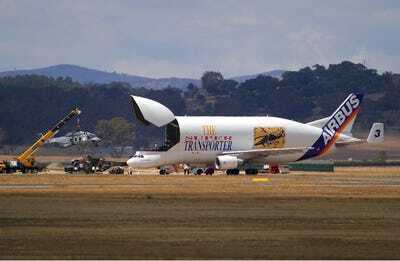 After of two decades of service, Airbus has decided the Beluga’s service life is coming to an end. 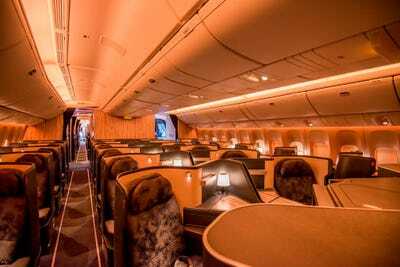 The aeroplane maker announced this week that is plans to design and build a new generation of Beluga transports based on its A330 twin-engined jet. 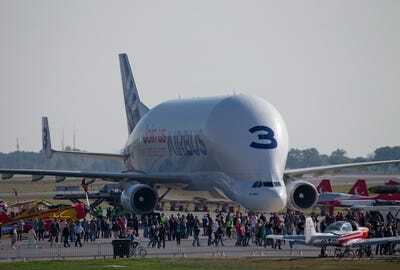 As the current Beluga’s nears retirement, lets take a moment to appreciate the awesomeness of this truly capable, yet very odd-looking piece of aviation engineering. Alex Davies wrote the original version of this post. Here's the Beluga. 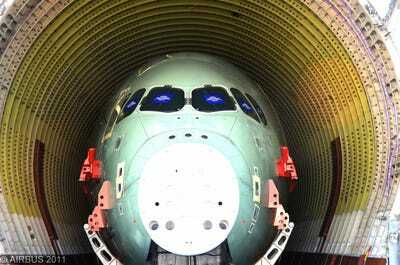 It's official name is the A300-600ST Super Transporter. Amazingly, the current Beluga wasn't the first oddly-shaped aircraft Airbus used as transport planes. 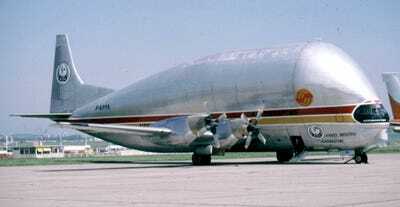 Before the Beluga, there was the Super Guppy. 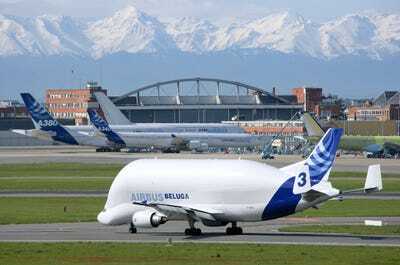 Now, Airbus has decided to build a new fleet of 5 Beluga transports, set to enter service in 2019. 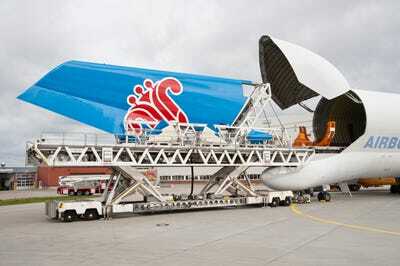 The new fleet will be based on Airbus' A330-200F freighter, like the one seen here. With its main compartment open, the Beluga looks like a whale swallowing prey, thus the name. 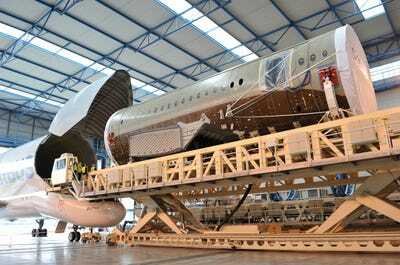 It's built to fit entire aircraft fuselages. 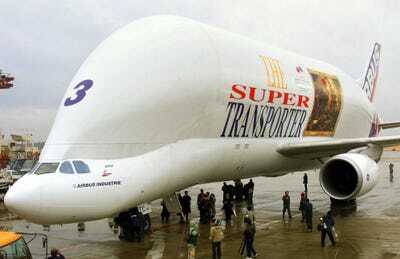 On a typical flight, the Beluga carries more than 100,000 pounds of cargo. 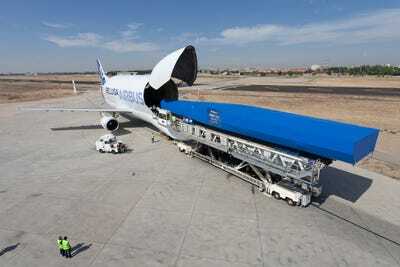 And the diameter of the fuselage is 24 feet. With a range of 2,500 nautical miles (2,877 miles), it's not a long distance aircraft. 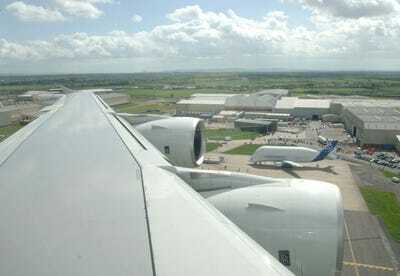 Here it is getting ready to transport a wing cover for Airbus' first A350 XWB, from Spain to the UK. 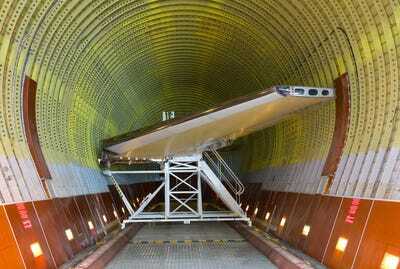 While it usually hauls parts of planes, the Beluga is used to transport helicopters, too. The Beluga is available for charter. In 1999, it was used to fly Eugene Delacroix's huge painting, 'Liberty Leading the People,' from Paris to Tokyo for an exhibition. There are only 5 in service, so numbering them is pretty easy. 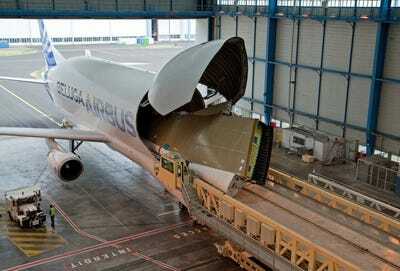 Airbus also uses trucks and river barges to move aircraft sections around, but they are not as impressive as the Beluga. Don't believe it? Watch it in action. The Beluga lands at the beginning of the video, and takes off at the 6:30 mark.